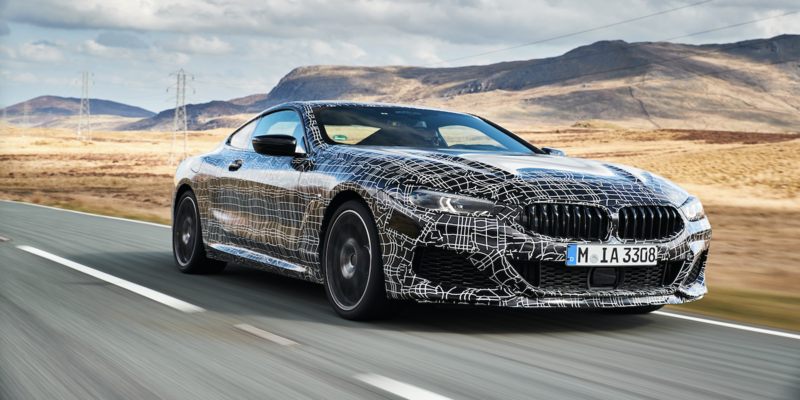 In preparation for its launch later this year, BMW has been focussing on the dynamics of the range-topping 8 Series Coupe as it enters the final stages of the development process. The dynamics and durability team have been driving prototype M850i xDrive models on roads in Wales, UK to evaluate and fine-tune the drive and suspension systems, which in this model include intelligent four-wheel drive technology, an active rear axle differential lock, adaptive M suspension with active roll stabilization, and active steering. The BMW team has evaluated the car on racetracks and proving grounds, including BMW Group’s proving ground in Miramas in the south of France, at its test center at the Nürburgring in Germany, and winter test drives at Arjeplog in Sweden. Following this work, prototypes are also tested on public roads such as the fast and twisty routes found in Wales, to gain input from the more everyday situations the car will be driven in. Track drivers should find the M850i xDrive’s power sufficient, with the 4.4-liter V8 offering 530hp and 750Nm through an eight-speed Steptronic sport transmission. 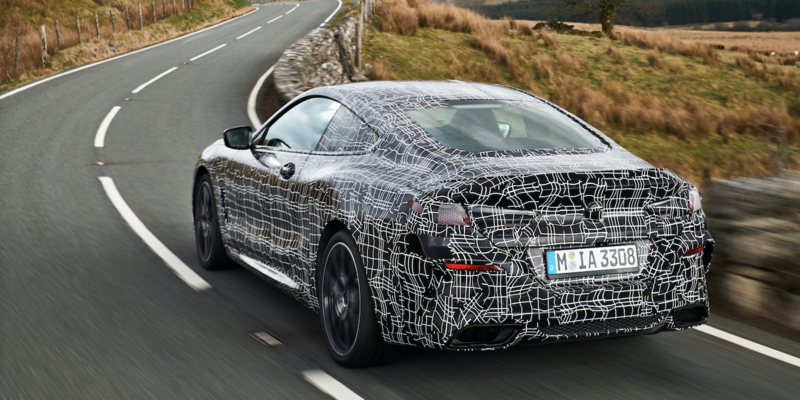 “The new V8 engine offers exactly the right balance between performance and emotion, which is what also sets the new BMW 8 Series Coupe apart,” stated Christian Billig, head of drive system integration for the model. “Thanks to BMW xDrive and active rear axle locking, the engine always transfers power precisely to where it can be best converted into driving dynamics.